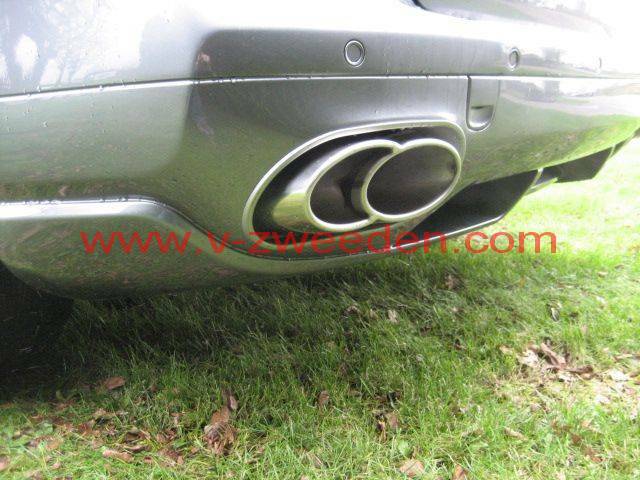 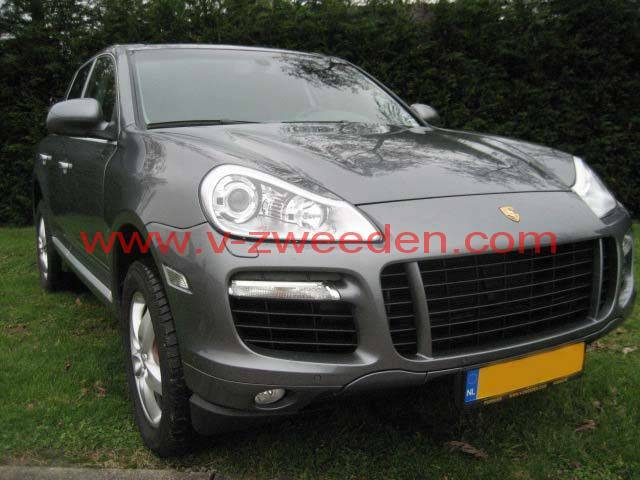 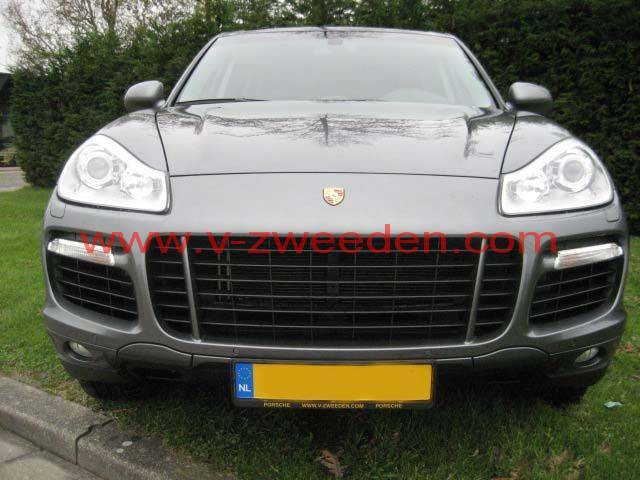 Porsche Cayenne V6 (first generation) converted to the NEW Cayenne Turbo 2008 Facelift-model. 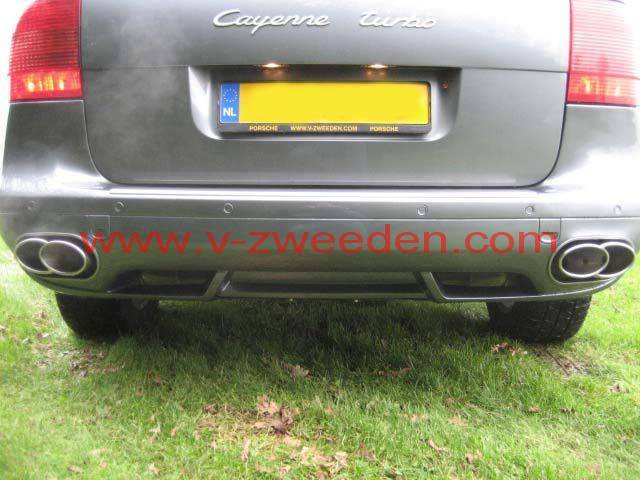 We changed the 2 frontwings - the front hood - the front bumper / grills - the Litronic Bi-Xenon lights - the red brake calipers - and we created a Special own created Turbo rear bumper with double exhausts. 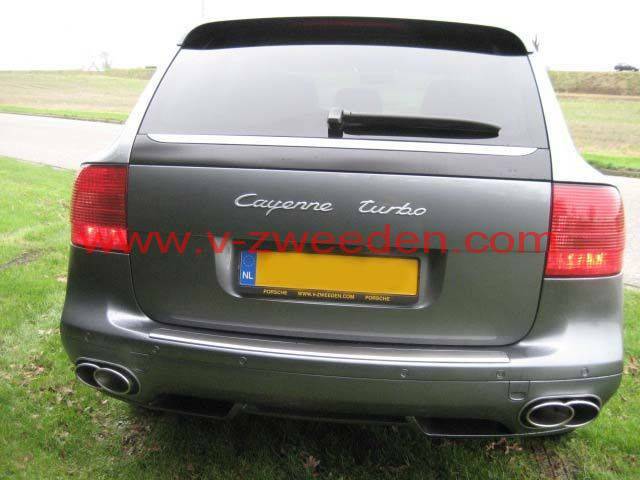 (black stripe on the rear side).